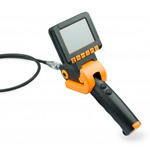 Economy video borescopes serves as a good handy flexible video inspection tools for various type of jobs. Low cost doesnt mean low quality. Focus of portable low cost videoscopes or sometimes called video snake skope or scope are on easy jobs that dont require more sophisticated Pro line or standart line videoscopes. 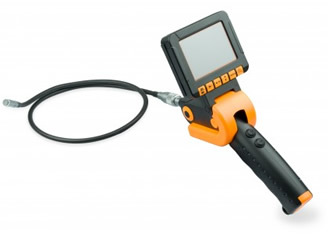 Most needed features included - image and video captures, flexible video probe shaft with option of semi flexible or "stay and flex" type, TFT monitor. Video snakes or video snakescopes has variety of applications. In plumbing for pipe and duct, sewer inspection, in home - walls inspection, defects search, in security to inspect cars, vehicles, tanks or cargo shipments. In automotive to inspect valves, motors, radiators, hard to reach places, in biology or natural studies to look into holes or study nature. In electrical to go into hard to reach spots and inspect contacts or connections.